Autonomous driving technology startup Pony.ai has become the first company to operate an autonomous ride-hailing service on public roads for public users in China. The company, just over a year-old, recently raised $112 million in a Series A round to help it accelerate its efforts, and its fleet is running a nearly two-mile route in Nansha, Guangzhou, where its China HQ is located. As you might expect, the autonomous ride hailing service currently covers a very specific, relatively small bounded area, but it’s still an impressive rollout for a company that began its testing in the designated area just over three months prior to the public soft. launch. The testing has included inclement weather scenario and unexpected traffic scenarios caused by human drivers, according to Pony.ai and that’s lead to rapid enhancements in the startup’s autonomous driving technology. This launch trial route is basically taking passengers from the Nansha municipal government building to the site of the Nansha Lantern Festival a the city’s civic square. Its total fleet for testing includes four Lincoln MKZs, as well at two Guangzhou Automobile Group (GAC) Chuanqis. 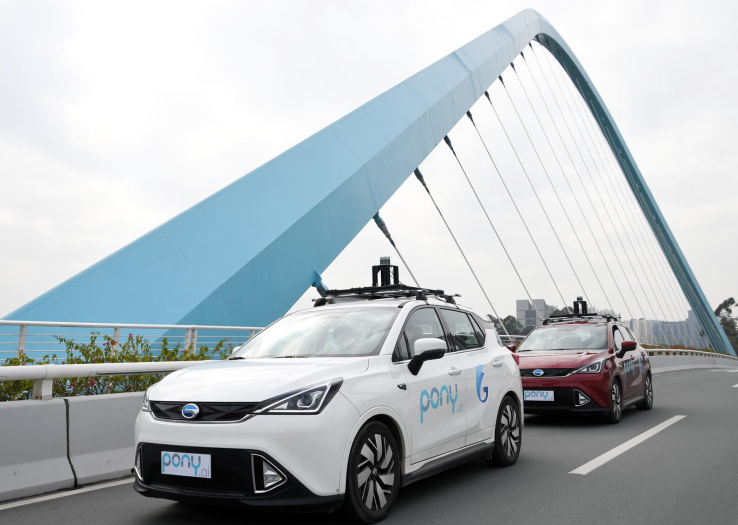 The GAC vehicles are important because Pony.ai is also announcing a new partnership with the Chinese automaker, with a collaboration covering autonomous driving tech development, as well as mobility services commercialization and operation. Pony.ai will expand and broaden its autonomous pilot zone within Guangzhou from here out. Any and all of these autonomous pilots will begin extremely small in scale, and grow the area of service as they gain confidence in their ability to map and navigate that specific zone, but this is a strong start for a very young company.